The 500th anniversary of the Reformation (1517-2017) produced a great amount of new historical researches and studies on Martin Luther. The most significant Italian contribution to such an historiographical revival and reappraisal of the Saxon reformer's figure must be ascribed to Adriano Prosperi, who dedicated a dense and piercing volume to Luther's early period (1483-1521): the years "of faith and freedom" during which Luther's intellectual and theological system took shape. This led the German monk "to the polemic with the Papacy on the issue of the indulgences and to the definitive breach of the union of European Christianity" (11). A renowned scholar who published influential volumes on the cultural and religious history of early modern Europe, on the Roman-Catholic Inquisition and on the Italian Reformation, Prosperi takes up the challenge of retracing the complex development of Luther's action and thought. In so doing, he shows to an Italian non-specialist audience how significant it was the shift from the Catholic to the Protestant Luther. This was going to change European history forever. As the author points out in the introduction, to analyse the conversion of an involuntarily revolutionary Saxon Augustinian friar means not only to investigate the genesis of the Reformation or the nature of German culture, but also to reflect on the "birth of modern history". Moreoever, it requires to consider the divergent cultural and historical paths followed, from the 1517 onwards, by Catholic and Protestant European societies. Yet at the same time Prosperi emphasizes the ever-present risk of ideological interpretations. 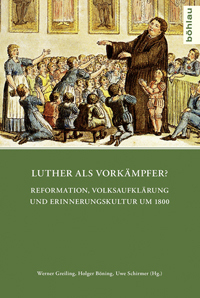 He rejects the tendency to instrumentalise and actualize Luther's thoughts, something common for many scholars who dealt with his legacy in the past (Luther as the forerunner of the modern idea of liberty of conscience or, on the other side, as the responsible of the alleged habit of obedience of the German people, as well as of German nationalism and even of twentieth-century's antisemitism). To this regard, Prosperi quotes the methodological warnings recently given by Heinz Schilling: historians should approach Luther and the Reformation's world as a "Foreign country" , that is to say, sine ira ac studio: "Like any figure of the past - states Prosperi - Luther owns the right to be known and judged, or at least understood, on the basis of what he thought, wrote and did within the context of his times" (3). In this way, misleading readings of Luther's actions and ideas can be avoided and the Reformation, as argued by Thomas Kaufmann , can be brought back to its essential and perspicuous historical meaning: the one of a movement that introduced "pluralism into the forms of European Christianity" (9). Besides methodological prudence, other features make Prosperi's study particularly original against the background of recent historiography on Martin Luther. 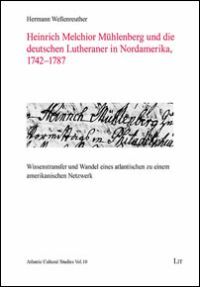 These peculiarities distinguish the book from other significant works recently dedicated to Luther, like those by Hendrix, Pettegree and Schilling, that Prosperi frequently quotes and discusses (for instance with regard to the meaning of the trip to Rome in 1511-12). 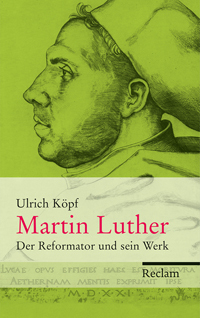 The first is the mentioned focus on Luther's early years, that recalls Lucien Febvre's classic biography and Mario Miegge's book on the Young Luther, on which the author often draws . The second is the special attention paid to the Italian background. Not only does Prosperi consider the theological positions of Luther's first non-German opponent, the cardinal Tommaso de Vio (Caetano), along with the worried dispatches of the Roman nuncio at Worms Girolamo Aleandro and the tardive reactions of the Roman Curia . He also examines the historical issue of the failed Italian Reformation, highlighting the blurry landscape of Italian religious life at the beginning of the sixteenth century (the multi-faceted movement diversely called Catholic Reform or Evangelism). According to Prosperi, in this moment the differences between German and Italian religious culture were still "less than the similarities" (109), as the case of Gasparo Contarini suggests. A young patrician and later the cardinal who represented the Roman Church at the Colloquy of Regensburg (1541), in 1511 Contarini lived in Venice a personal conversion to the doctrine of justification by faith alone that - in the 1950s ecumenical season - the Catholic scholar Hubert Jedin compared to the far better known Turmerlebnis experimented few years later by Luther in Wittenberg . Contarini's conversion, argues Prosperi, ought to help historians to abandon the anachronistic idea of the Protestant Reformation as completely separated from the Catholic Reform and Counter-Reformation, represented as "compactly Roman" and conservative movements (109). The book is laid out in two major sections. The first one (chapters 1-8) describes Luther's "years in the shadows", moving from the birth in Eisleben in 1483 to the vocation, the Anfechtungen, the teaching at the University of Wittenberg as a theologian, the relationship with his "master and spiritual father" Johann von Staupitz and the indulgence campaign headed up in 1516-17 by the Dominican Johann Tetzel. The latter provoked Luther's "come out to the public", which covers the years 1517-1521, investigated in the second part of the book (chapter 9-29). 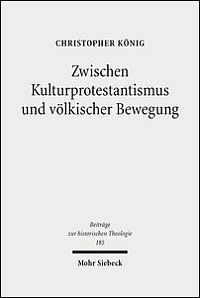 Prosperi clearly shows for how long time Luther struggled as a "Catholic reformer" for the renewal of the Roman Church and of its doctrine (198, 205), and how he was finally condemned as a rebel and heretic because of his uncompromising loyalty to the Scriptures and to his conscience. Yet "Luther - states Prosperi - was not and never felt like an heretic or a rebel. (...) He was a reformer", who basically "conceived his task as the duty of teaching the truth in accordance to the Word consigned to the Scripture. He demanded a demonstration of his error on this basis. And he fought the dissenting opinions that aroused also in his environment after the breach with Rome" (216). 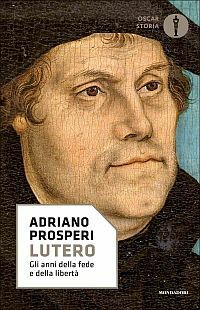 Prosperi's book is much more than a collection of "notes and stories" on Luther collected during a "cursory reading of his writings", as the author claims in the introduction (3). 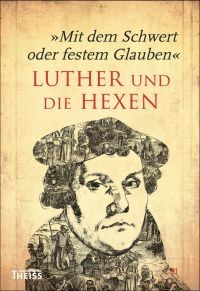 Through a penetrating reading and merging of different sources (Luther's correspondence, his writings, the Tischreden), the author effectively describes the gradual surfacing of Luther's revolutionary theology and places his actions and works within the complex political, religious and social context of sixteenth-century's Europe. A plain and often fascinating prose compensate for the length of a book that makes available a fresh and up-to-date profile of the man who said of himself that he was actus, non agens, and yet he decisively shaped with his life the course of European history. H. Schilling (Hg. ): Der Reformator Martin Luther 2017. Eine wissenschaftliche und gedenkpolitische Bestandaufnahme (= Schriften des Historischen Kollegs; 92), Berlin 2014; Idem: Martin Luther. Rebell in einer Zeit des Umbruchs, München 2012), recently translated in Italian with the title Martin Lutero. Ribelle in un'epoca di cambiamenti radicali, Torino 2016. T. Kaufmann: Geschichte der Reformation, Frankfurt am Main / Leipzig 2009, 718. L. Febvre: Un destin. Martin Lutere, Paris 1928); M. Miegge: Lutero giovane, Torre Pellice 1946, reprinted in 1964 and more recently with the title Lutero. L'uomo e il pensiero fino alla Dieta di Worms (1483-1521), Torino 2008. 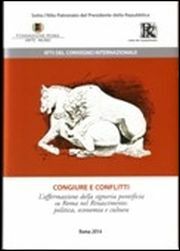 This is the approach of Volker Reinhardt's recent study, translated in Italian with the title Lutero l'eretico. La Riforma protestante vista da Roma, Padova 2017. See H. Jedin: Ein «Turmerlebnis» des jungen Contarini, in: Historisches Jahrbuch 70 (1951), 115-130.